Duke University Chapel community ministry engages the head, heart, and hands, bridging the lives of students and members of the wider university, Durham, and Triangle communities. 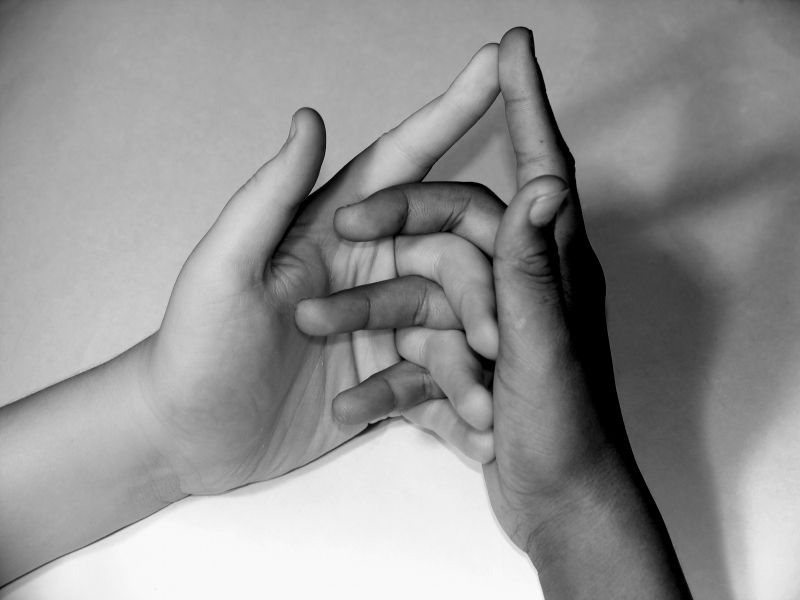 In this way, we aspire to be a blessing in the midst of diversity. Duke Chapel’s community engagement capitalizes on the enormous opportunities for ministry, discovery and witness in the interface between Duke, Durham, and beyond. By maintaining a visible presence in the West End of Durham, we facilitate student interactions in Durham and engage with issues of wider community, national and international concern. We rely on relationships with community partners to accomplish this important work that allows us to be with our neighbors in word and deed. PathWays is our signature program for student engagement with the community. Students are invited to be involved as Chapel Scholars or yearlong Fellows. We currently have more than two dozen Religious Life groups on campus representing five of the major world religions. 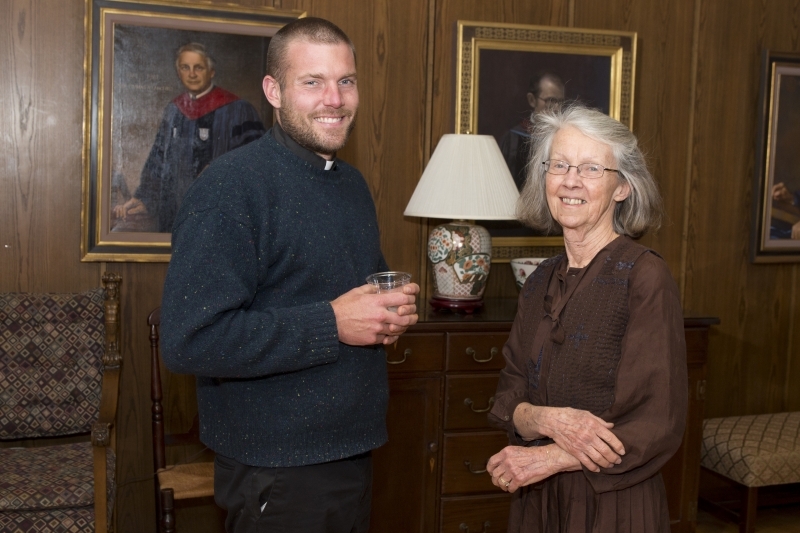 The deans of the Chapel, along with over 35 campus ministers, chaplains and professional staff, serve the entire campus. 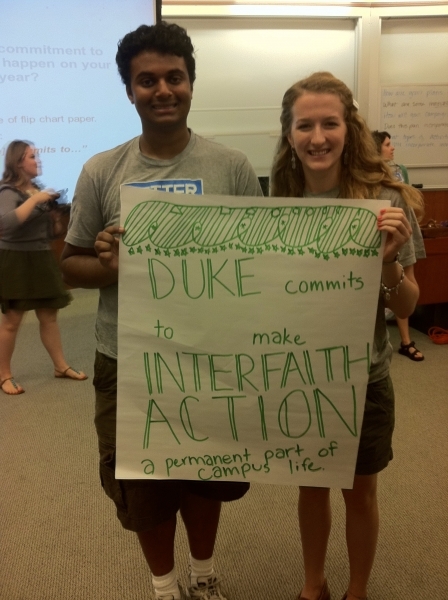 Duke VIA (Voices for Interfaith Action) provides opportunities for students to increase interreligious awareness and education. The Faith Council is a group formed and promoted by Duke Chapel that focuses on working cooperatively across faith lines to provide opportunities for interfaith enrichment. Duke Chapel’s "Bridge Panel" public conversation series, led by the Dean of Duke Chapel, seeks to connect people from disparate walks of life in order to discover shared pathways toward the beloved community of God. Watch the discussions on YouTube or download them from iTunesU. The Betty and Bob Hall Award was instituted in 2007 by trustee-emeritus A. Morris Williams, Jr. (Trinity 1962; Graduate School 1963) and his wife Ruth Whitmore Williams (Woman's College 1963) to support Duke University students’ participation in Christian-related service projects. Mr. and Mrs. Williams set up the endowment in honor of the parents of Sara Hall Brandaleone (WC 1965), whom they greatly admired. Sara and Bruce Brandaleone joined Mr. and Mrs. Williams in funding the endowment. Read a reflection from a past Hall Award winner, on page 2 of the newsletter. Thanks to an endowment established by the friends of Bob and Betty Hall, the Chapel offers an annual award to a student doing Christian service work during the summer. Applications in the form of a letter that addresses the summer work and its relationship to the student’s faith expression should also include a detailed budget. The award will be approximately $3,000. The Chapel is currently accepting applications in the form of a letter that addresses the summer work and its relationship to the student’s faith expression should also include a detailed budget. For more information contact the associate dean for Religious Life. The Duke University Chapel Humanitarian Service Award aims to recognize individuals with a commitment to service and simplicity. The award is inspired by the lives of two Duke professors: Dr. George R. Parkerson Jr. and the late Dr. C. Eric Lincoln. The recipient of the award receives a grant of between $1,500 and $3,000 to further humanitarian efforts. The award has its roots in a relation between two Duke professors. In 1990, religion professor, sociologist and United Methodist minister C. Eric Lincoln started the Humanitarian Service Award endowment to honor Dr. George R. Parkerson, Jr., former chairman of the Department of Community and Family Medicine at Duke’s School of Medicine. 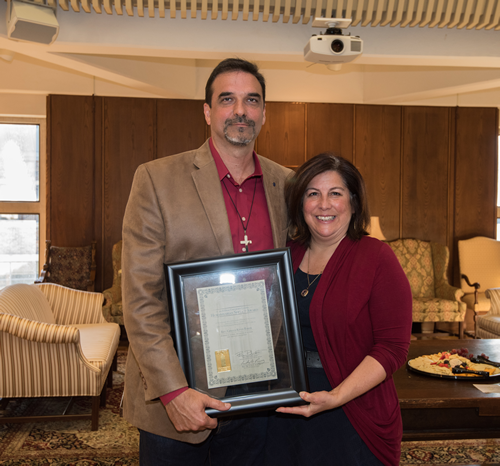 By establishing this endowment, Dr. Lincoln sought to recognize Dr. Parkerson’s “caring love and concern for humanity” and to encourage others to do the same. The purpose of the award is to lift up an individual who has demonstrated both a long-term commitment to serving others and a lifestyle marked by simplicity, characteristics Dr. Lincoln believed described Dr. Parkerson. Throughout the award’s history, recipients have been recognized for their caring contributions to humanity in locations near and far. 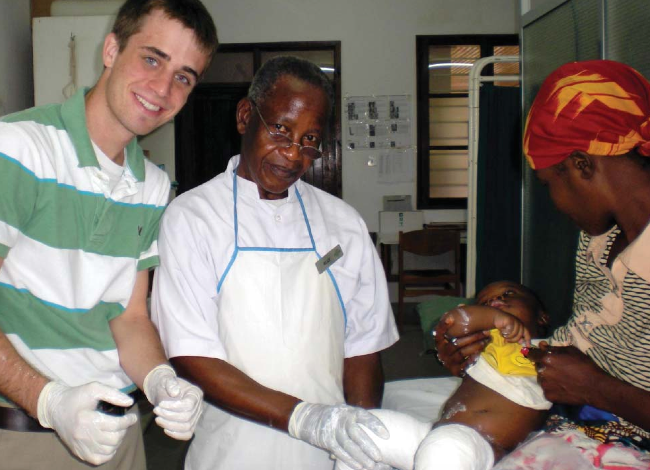 Recipients have included the late Duke professor Benjamin Ward for his work feeding homeless people in Durham, former Duke graduate student Luke Dollar for his ecological research in Madagascar, and retired Duke professor George Maddox for his service to elderly people and school children in Durham. In 2014, the award recipients (photograph above-right) were Brenda Brodie, a co-founder of the Durham nonprofit SEEDS, which teaches respect for the earth and each other through gardening and growing food; and the Rev. Colin Miller, founder of the Community of the Franciscan Way, also in Durham, which models a life of communal prayer and acts of mercy. 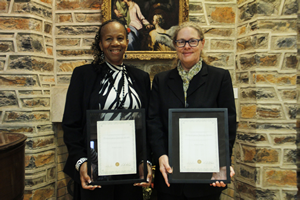 T he 2015 award recipients (photograph to the right) were Patricia James, founder of Durham Triple Play Long Ball Program, and Marcia Owen, director of the Religious Coalition for a Nonviolent Durham. The 2016 award recipient was Rev. Kevin Baker, (in photo right with his wife, Denise) lead pastor at FirstUnited Methodist Church in Graham, North Carolina, and a chaplain at the Alamance County Detention Center. 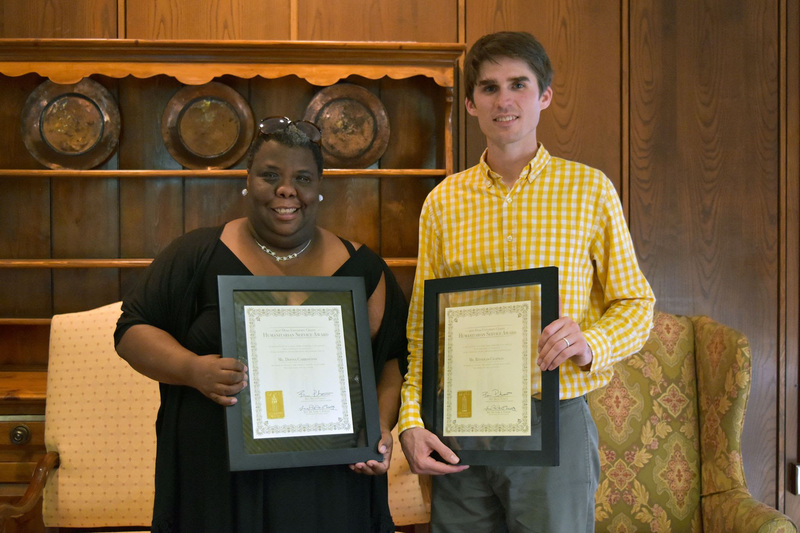 The 2017 award recipients were Reynolds Chapman, from DurhamCares, and Donna Carrington from the Community Empowerment Fund. If you are a Duke student and are looking for ways to be involved in Duke Chapel, or if you would like a Chapel staff member to connect with you, please fill out the engage form.